-Since I studied in AIT for two years, my English and international sense were improved very much. Due to the connection through AIT, I have got the many advantages on my work. Especially, even though 40 years has passed after my graduation from AIT, I still have the relationship with some wonderful classmates from various countries in Asia who became successful alumni. 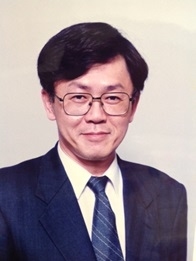 May 1974 Rejoined Mitsui Construction Co. Ltd.
After joining ARSIT in 1992, devoted to spread the activities related to rainwater storage and infiltration for flood control. Recently, also involved with the utilization of rainwater storage and infiltration facilities in terms of not only flood control but also groundwater recharge, rainwater use and water environment for river basin management and urban planning. Master of Engineering : 1981 at Asian Institute of Technology in Human Settlement Dept. Bachelor of Engineering : 1979 at Tokyo Institute of Technology in Social Engineering Dept. Participates in the settle of "the Five Year Corporate Plan ". It is elected as the researcher in the International Development Center of Japan. It is a research about the foreign countries for Japanese Goverment Aid Projects. Concretely, it took the duty of the coordinator for the investigation of Ministry of Transportation "the Transportation Infrastrucure investigation in three countries of Africa (Zambian, Madagasucal, Ethiopia)", and Ministry of Construction "The Economic Basis and Infrastrucure investigation in four countries of South East Asia (Indonesia, Malaysia, Thailand, Burma (those days))"
By these experiences, it knew the mechanism of the economy aid by Japanese Goverment and it learned a way of proceeding with the work through the practice with the agency of every country and the international organization. It is assigned at the same time with the New York office establishment. 1) It does the sales promotion and the supervision of the construction of the general affairs which accompany the start-up of New York office. 2)Business promotion for the office building and the factory of Japanese firms such as "Japan United Nations embassy remodeling (400,000,000 yen), Mitsui Lease co. Office renovation(240,000,000yen) and Sigma lens office warehouse building ( 500,000,000yen)"
3)Investment for Development projects as investor and contractor. Through these business, it acquires about the way of proceeding the construction project in USA, and the real estate business of the contract. It acquires the license of the real estate treatment chief person in New York state. It engages in the construction construction of the Main Terminal Building at KL new international airport which was done by Japan's economy aid as the deputy project manager. The project total contract sum is 70,000,000,000 yen . The project manager of the factory construction such as Panasonic Battery in Rynosa, Mexico (2,200,000,000 yen), JVC, Panasonic and Canon and so on,in Tijuana,Mexico. The International Branch, General Manager of Business Promotion Dept. The sales unification by the project in the foreign countries and the settle of the sales strategy in the futureAs the person in charge of the sales, it settled on the receipt plan, the personnel plan and it executed it. The Building Construction Div., General Manager of Business Promotion Dept. My current position title is Principal Urban Development Specialist, Urban Development and Water Division, Southeast Asia Department. I have been engaged in preparation and implementation of ADB financed projects to improve urban infrastructure and municipal services in China, Laos, Mongolia, Myanmar, and Vietnam. My assignment has also included analytical works in the urban sector in Asia and the Pacific. In addition to the urban related tasks, I have been monitoring and managing the progress and performance of ADB’s entire portfolio of the division and department. Between 2007 and 2010, I was assigned at ADB’s Vietnam resident mission. As a senior officer, I managed and guided staff in conducting feasibility studies in various countries in the areas of urban and regional development, transportation, and social services including education and health. I also led the JICA-wide country programming exercise through establishment of guidelines and coordination among various departments and overseas offices. I took a leave without pay from JICA and worked at ADB as an urban development specialist responsible for preparation and implementation of ADB funded projects in the urban sector in China, Indonesia, and the Philippines. I was in charge of coordination and collaboration with other development partners, and introduced international initiatives and innovative approaches to JICA staff. I also contributed to development of JICA-wide operational policies and strategies. I was a Special Assistant to Ambassador responsible for development issues discussed at the Development Assistance Committee (DAC) of OECD. I participated in DAC meetings representing the Government of Japan and discussed emerging issues with other bilateral donors towards aide effectiveness. As a junior staff, I worked for conducting feasibility studies, organizing training programs for developing country participants, and preparing and implementing grant funded projects in urban and regional development, flood control, ICT, and transportation.